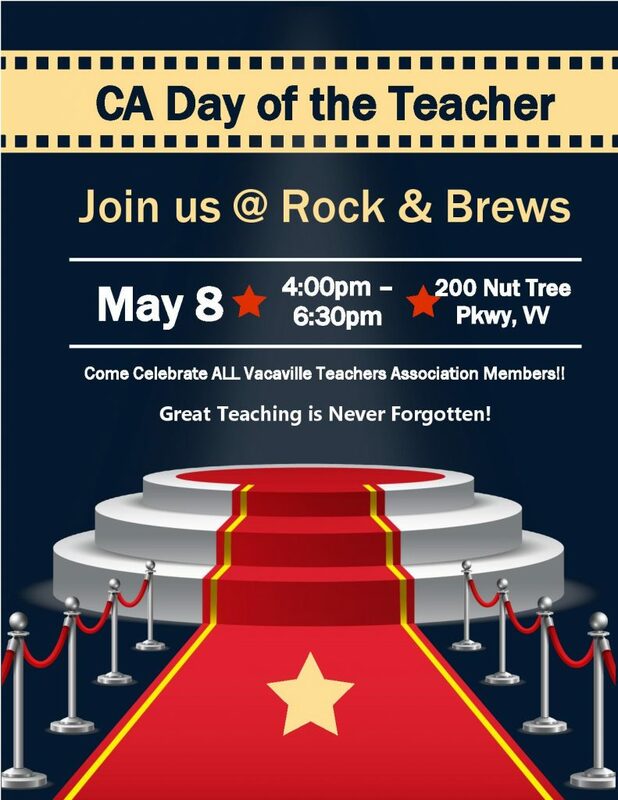 Join us for the Day of the Teacher on May 8th at Rock and Brews! Here is the agenda for the meeting! Here’s all of the updates from this bargaining cycle – the most recent is at the bottom! Sacramento City educators will strike for their students if needed TOMORROW, APRIL 11. Educators had an agreement with the district during the last bargain to use health plan savings on students including class-size reduction, counselors, nurses, and more. The district is not honoring that agreement. Learn more about their fight for their students on Sacramento City Teachers Facebook page. They have several videos; be sure to like their page to get updates, too. Take a minute today to send solidarity to Sacramento educators putting it all on the line for their students. Send a message of support on their website and post on social media with #SCTA4Students. Take your support to the next level: Post a video of support and share the videos teachers made about why they are choosing to strike if needed.